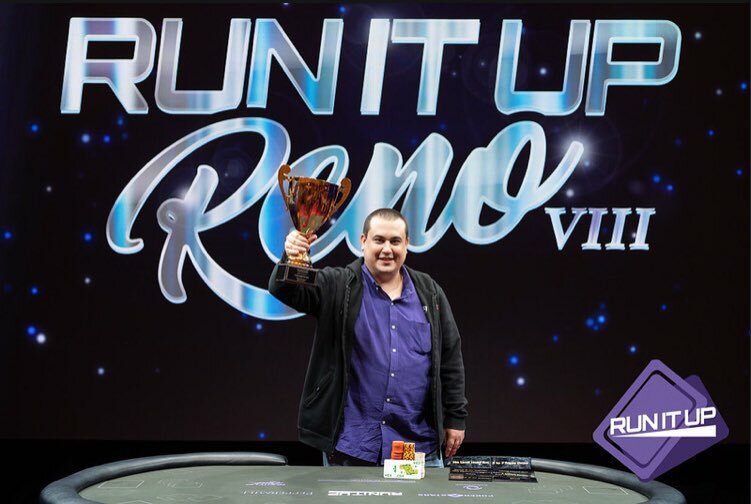 Day 2 of Run It Up Reno VIII is in the books and while players were buzzing after a fun opening day, everyone knew it was time to get down to business and try to lock down a coveted piece of RIU gold. 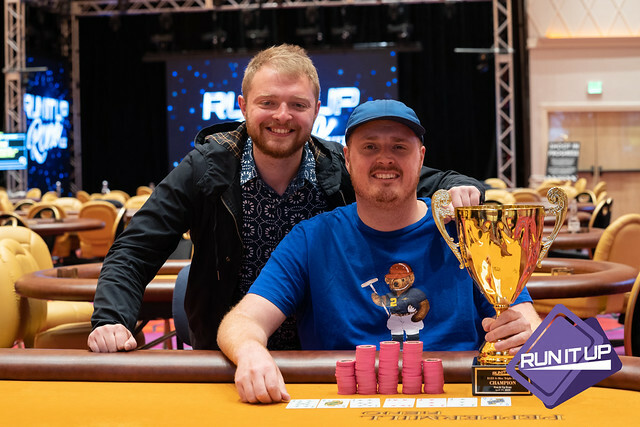 The day began with SNG satellites, and players earned themselves buy-ins for Day 1B in the final flight of the $440 Mini Main Event. Moving on into the early evening, players had a chance to battle for a trophy in the $125 6-Max NLO8. Four cards, split pot and no cap on betting – what could go wrong?! 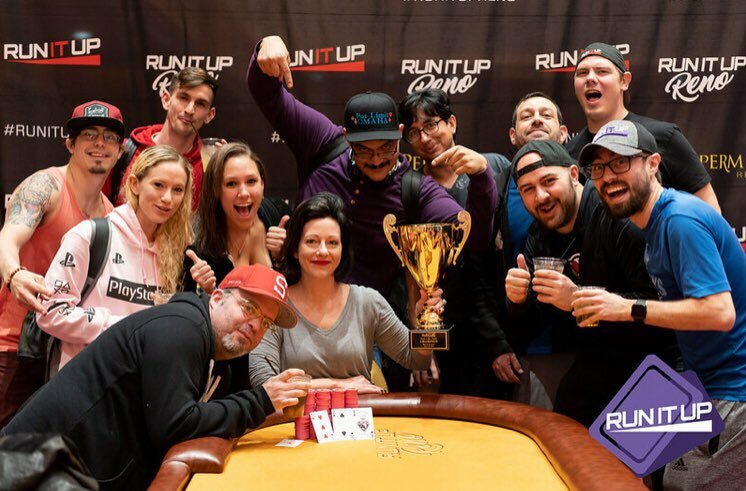 Finally, fearless RIU leader Jason Somerville hosted a Cash Game Hangout in the poker room for Fight Night 236 to catch some UFC action and play some 1/2 Pot Limit Omaha. 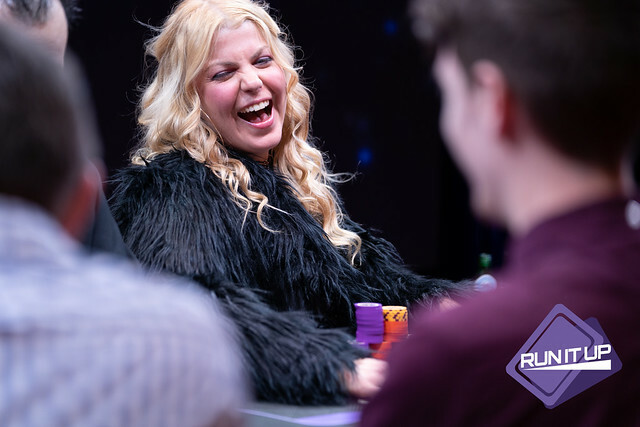 The highlight of the day was Oregon’s Sarah Sherman (pictured) taking down the $125 6-Max NLO8 event for $2,000 after a three-way chop with Tony Bigcharles ($1,787) and RIU regular Eric Goldstein ($1,200). Sherman locked up her second piece of RIU gold, adding to her N.O.R.S.E. title from October 2018. 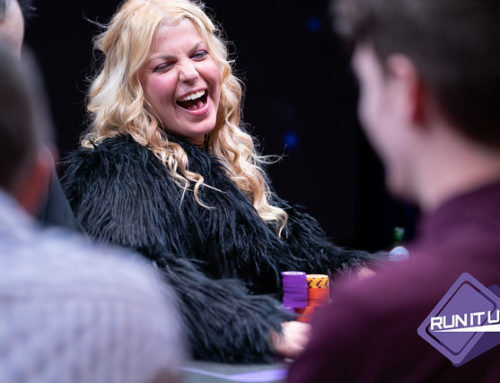 She’s off to a hot start with back-to-back final tables in the first two days, coming in 4th place in the $125 Short Deck Hold’em event for $829 on Thursday. 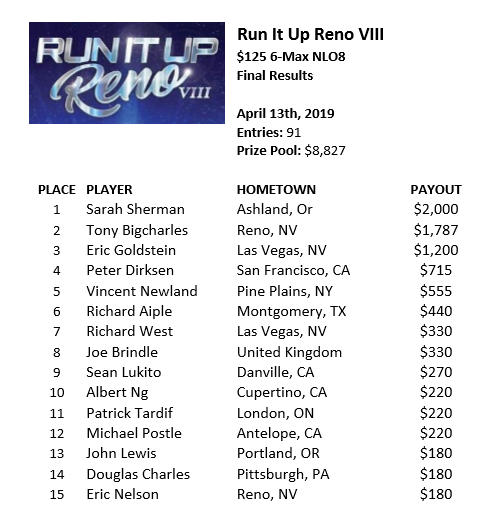 The NLO8 event brought in 91 entries for a total prize pool worth $8,827 paying out 15 spots. 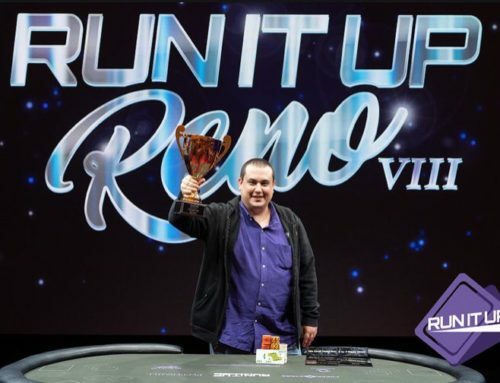 Familiar RIU Warriors that went deep in this included Pete ‘TheMayorPete’ Dirksen (4th – $715), Vincent Newland (5th – $555), Joe Brindle (8th – $330), Albert Ng (10th – $220), Patrick Tardif (11th – $220) and Eric Nelson (15th – $180). The final flight of the $440 Mini Main Event with $100,000 guaranteed wrapped up in the evening after bringing in 158 entries. This brought the overall total entries to 285 for a prize pool worth $110,580, surpassing the $100,000 guarantee set on this event. First place will take home a hefty $26,073 with the final 46 players locking up a min-cash worth $720 once the money is reached. 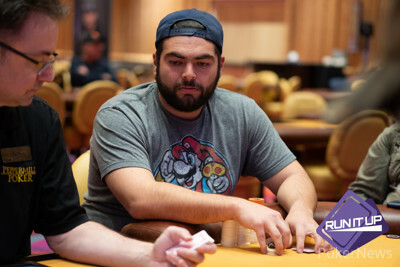 The chip leader was none other than RIU Warrior Ivan Zarate (pictured), bagging up a heavy bag worth 185,000 chips. He was closely followed by Michael Trivett (184,000) and Kyle Keating (181,500) to round out the top three spots. 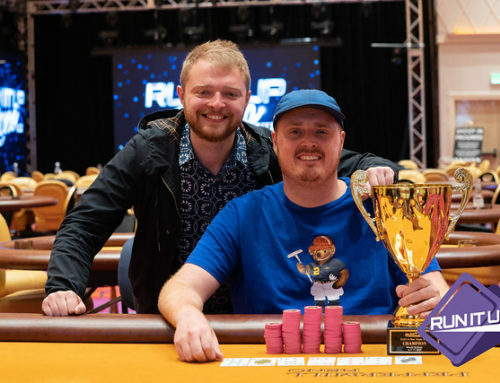 Familiar faces to make it through the day included Stanley Wang (148,500), Ashley Sleeth (148,000), Team RIU Pro Benjamin ‘Spraggy’ Spragg (126,500), Patrick Tardif (117,000), DJ Fenton (106,500), Jason Daniele (90,000), Albert Ng (85,000), Mark Mazza (75,500), Max Brown (66,000) and Team RIU Pro Kevin Martin (49,500). Day 2 begins today at 12PM and will play down to a winner, with a feature table on the Twitch broadcast beginning at 5PM PT leading into the final table to cap off the night. 2PM – $235 6-Max H.O.R.S.E. A full schedule and list of structure sheets can be found here.